Country singer Jason Aldean has broken his silence just five days after his performance at the Route 91 Harvest Music Festival wound up being the scene of the deadliest mass shooting in modern U.S. history. The “Any Ol’ Barstool” singer made his first appearance on Saturday Night Live less than a week after the shooting, in which he spoke candidly about the experience from his point of view. He closed his message of unity with a powerful cover of Tom Petty’s “I Won’t Back Down.” The song choice was even more poignant after the musical icon’s sudden death came the morning after the shooting. 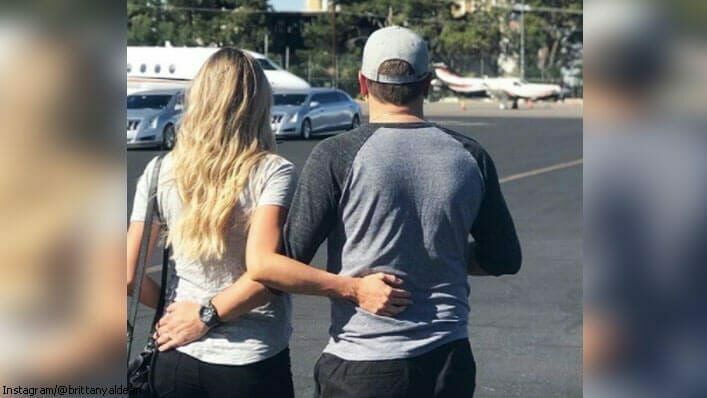 After stopping in New York for SNL, Aldean and his expectant wife, Brittany, flew into Las Vegas on Sunday—exactly one week after carnage ravaged the music festival. They visited with shooting survivors at University Medical Center. 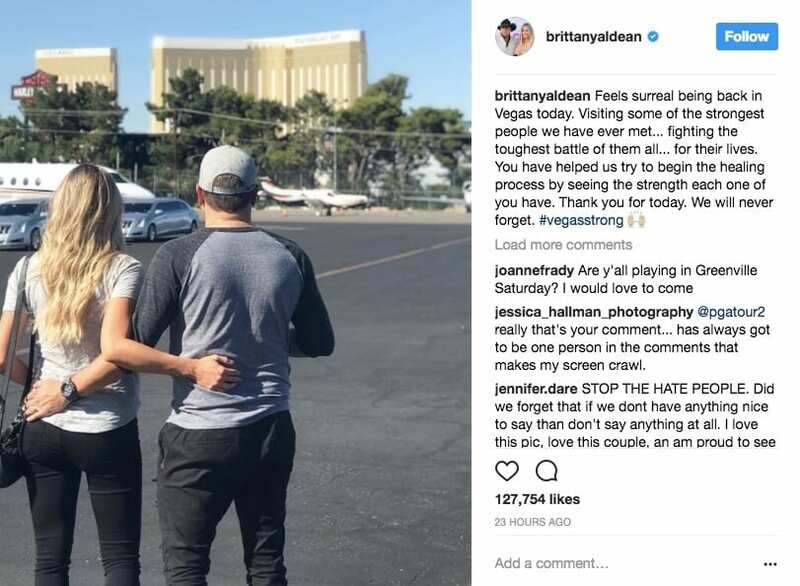 With the tribute, she posted a photo of the couple standing in a parking lot, facing the Mandalay Bay Resort & Casino. Their visit brought a smile to the faces of those who last saw the country star on stage as the attack began. “His visit helped heal hearts and cheer those who were wounded in this tragedy,” the hospital said in a Facebook post on Sunday.